Proverbs Trivia Quiz game is an addictive yet challenging word guessing game for iPhone and iPad. 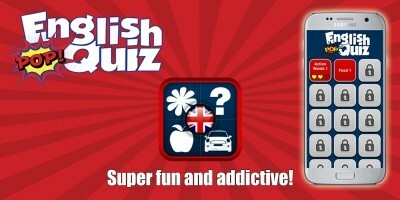 Proverbs Trivia Quiz game is an addictive yet challenging word guessing game for iPhone and iPad. A Real brain teaser for any one I bet. 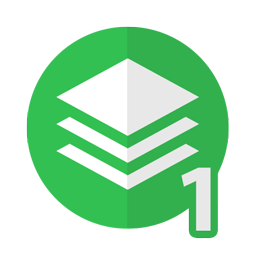 Proverbs Trivia Quiz challenges your intellect and wisdom, test your ability, knowledge and English vocabulary as well as educating you with proverbs and their meaning while providing fun at the same time. You’ll be presented with a Phrase. Your goal is to guess what WORD is behind the proverbial expression or given idiomatic sentence. Each sentence is missing or describing an iDiom or Proverb which you have to guess by selecting letters to fill the board. There are 200 Proverbs to guess. Let’s see how far can you go! I bet you are gonna an addict, engaged with it for hours, guessing letters again and again using Free letters, using Bomb letters to remove irrelevant letters and even collecting points to jump to next level as fast as you can. Don’t give up my friend! -Tap the letters to place them on the game board. Tapping letters again will remove already selected letters from the game board. If letters are correctly filled, Word gets completed this way you can get the correct Proverb and forward to next level. 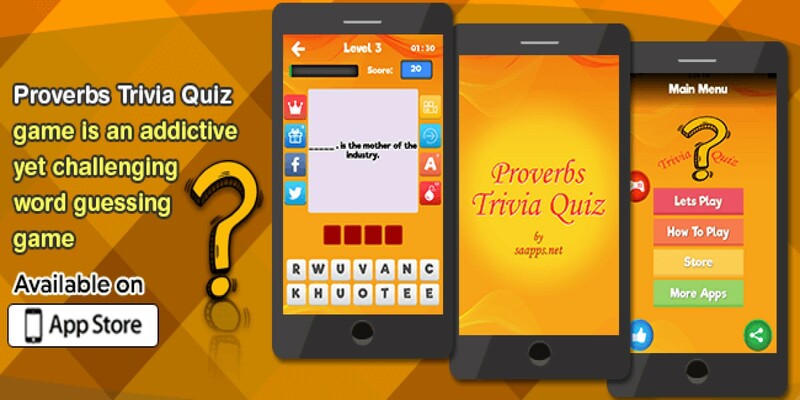 -Tap on ‘Let’s Play’ from Main Menu to Start the Proverbs Trivia Quiz Game. -Tap ‘How to Play’ to get help tutorial. -Detailed options are mentioned here to help you out while playing Proverbs Trivia Quiz Game. Check out the Icons across both side of the game board to help you guess the word easily. – Tap ‘Bomb Letters’ to remove irrelevant letters from the board. If you are stuck with any question no worries, Ask your facebook and twitter fans and followers to guess it for you. 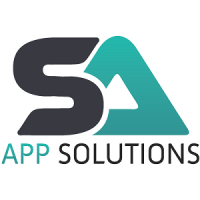 – Tap on Crown to Get ’Premium Package’ consisting, Remove Ads and a Wrong letter as well as Filling a correct letter on the board. 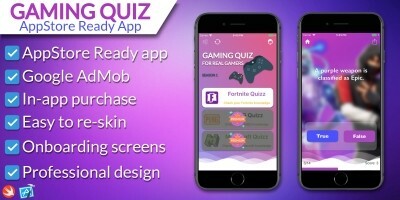 How to Re Skin ? This app is easy to re-skin you just need Xcode installed on your mac. And you have to change package name, app name, Admob ids and in-apps(if needed), before uploading to iTunes. Consult the given documentation for more information.